TURKEY— In recent years, and in particular following the unsuccessful coup attempt against the Turkish government on July 15, 2016, power and authority in Turkey have increasingly become consolidated in the hands of one man: Turkish President Recep Tayyip Erdogan. The past year alone has seen a renewed crackdown against media outlets and journalists in Turkey, as well as the purging of university professors and academics. 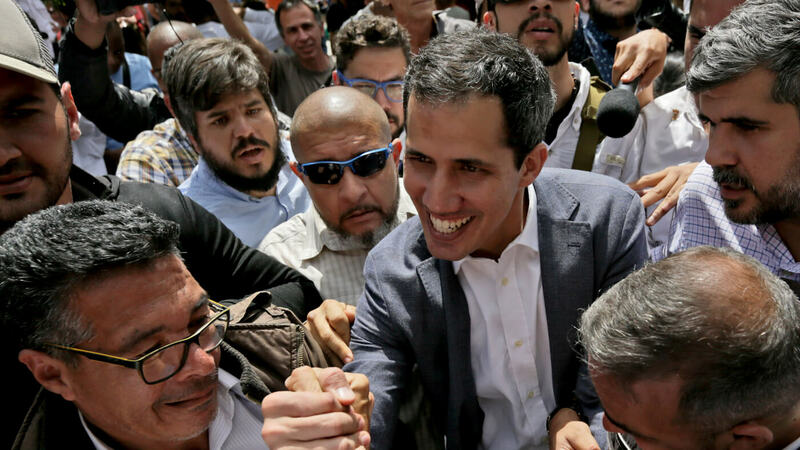 There has also been action taken against lawyers, judges, prosecutors and other public officials who were viewed as being aligned with groups that instigated the coup attempt, as well as the imprisonment of members of the political opposition. Erdogan’s latest move, as foreseen in my interview with Duke University professor Bahar Leventoglu in late 2016, is his attempt to amend the Turkish constitution, altering the country’s political system in such a way as to all but ensure one-party and one-man rule. On Sunday, April 16, voters in Turkey will be called upon to approve or to reject 18 constitutional amendments that have been proposed by Erdogan and the ruling AK party. Turkish journalist Gürkan Özturan of dokuz8news, in a recent interview that also aired on Dialogos Radio, analyzed the Turkish referendum and its implications, as well as the other ways power has become concentrated at the top in Turkey. MintPressNews (MN): Let’s begin by discussing the upcoming Turkish constitutional referendum. What are the changes that are being placed before the electorate? Gürkan Özturan (GO): On April 16, the Turkish people will be voting on a new constitutional referendum. This constitutional referendum is actually a result of 18 different clauses that have passed in the parliamentary vote, but they have failed to amend the constitution in the parliament, as 367 votes [were needed]. They fell far below it, approximately 330 votes have been cast for [each clause]. This meant that we were to have a referendum on them. The president and the government had announced that even if it had passed 367 votes, it would still be taken to a referendum. Basically, [the constitutional referendum] has been declared, by the opposition parties in Turkey, as a “change of regime.” When I say “opposition,” actually this does not cover all the parties, because of the far-right nationalist movement party, which is the fourth-biggest parliamentary party at the moment, is [currently] in an alliance with the governing AK [Justice and Development] party. This has caused a divide in their voter base, of course. What is in the constitutional referendum? There is one clause that I actually personally support, which is dropping the age of getting elected to 18. I actually agree with the governing party that the age of getting elected into the parliament should be dropped from 25 to 18. If you’re able to vote, you should be able to get elected. But apart from that, there are some structural changes to the constitution and the system of governance in the country. The accusation from the opposition is that this is a change of regime, but the government says this is not a change of regime, but only the governance style in Turkey. First of all, there is a very basic change in the structure of the judicial body. The majority of the members of the judicial body will be appointed directly by the president, and the remaining [members] will be appointed by the parliament, which will again be from the same party as the governing president. The president will be the leader of the government and the leader of the country, he will be directly elected, and he will appoint all the ministers. There is a problem with that because, in the parliamentary system, the majority of the ministers were first elected into the parliament, and then from among the members of parliament, they would be selected by the leader of whoever is going to form the government or coalition. The president previously gave the mandate to one person to form the government, and this person would prepare a list of the cabinet [members], and this would be taken to a vote of confidence. But in the system that is being proposed, the president will be appointing ministers depending on his will, and the number of ministers is not actually declared. There can be as many ministers as the president likes, and as many vice presidents as the president likes. This presents a problem, especially in the days when the Azerbaijani president has appointed his wife as vice president, and the Turkish president has always had his daughter as his adviser, who is getting paid for advising her father. There is another clause, that the vote of no confidence in the parliament, or the parliamentary power of voting a government down, is being taken away from the parliament, and the will of the people that is represented in the parliament is being taken away. So there is going to be no parliamentary oversight over the power of the president, and the parliament actually will become obsolete. There will only be the duty of preparing and drafting laws, and not laws even, just the proposals and the drafts, which will be put to a vote, while the president will have the right to say yes or no, to approve or reject these proposals. Previously, the president would be the one to approve or reject the proposals, but at least it was the parliament and the government that would be responsible for the creation of the new laws. This presents a problem because as we remember from 2015, after the June elections, President Erdogan had said that he does not think that the nation has made the right choice and the nation should repeat their vote until the “correct” result comes out of it, when his party had lost the parliamentary majority to form a single-party government. For more than three months, the government talks had failed to reach a consensus where a proper government would be formed. Eventually, we had to have snap elections on Nov. 1, 2015, where [Erdogan’s] party received half of the vote. There is another crucial element of this constitutional referendum, which says that the president will not be answering to the judiciary even after his term, so the president cannot be put on trial, although the governing party says that the president will be able to be put on trial after two-thirds of the parliament says that the president should be put on trial. Only after that would the president be answering to the judiciary. In the proposed system, I do not see the presence of checks and balances, which are the essence of democratic governance. I do not see that it is actually representing the will of the nation. I think we can summarize the constitutional referendum in these terms, but there 18 clauses in total. 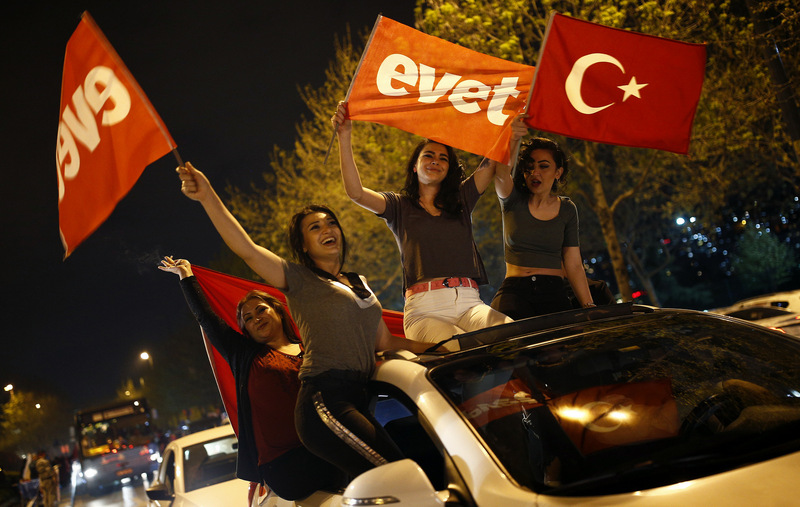 MN: What was the mood of the Turkish public leading up to the electorate? GO: There is a very varied reaction towards the referendum. One of the sentiments in the street is that there is a great level of listlessness regarding the referendum. The majority of the people that I see around are not really enthusiastic or passionate about the referendum. I remember in the previous years when there was going to be an election or referendum, especially on the governing party’s side there would be millions of people on the streets, passionate and joyful about the upcoming elections or the referendum. They would have hopes and dreams about the aftermath of the election. But currently, what I see is many who are quite strongly supportive of the constitutional referendum, but they do not seem as passionate. When I look at the political rallies in the various cities, again, I can say that there is a lack of passion in the supporters of the governing party, even though there are still fanatical supporters in some cases. Another thing I see is that there is a great level of tension on the streets. There are only “yes” campaigns all around. Only in certain districts and certain places there are a few “no” campaigns going on and “no” posters available, but the majority of the country is actually covered in “yes, yes, yes” slogans all around. There has been a report announced by the main opposition party, CHP, last week, which has reported 143 attacks against “no” campaigners, and they have likened this situation to the military junta of the 1980s, where the previous constitution of Turkey was drafted. MN: What do you believe Erdogan is ultimately trying to achieve by holding this referendum? GO: I think, even though he seems to be the leader of this constitutional referendum, this was the inevitable case when the third-biggest political party in Turkey, the HDP, the Kurdish party, the People’s Democratic Party, has passed the 10-percent election threshold [the percentage of the vote a party needs to enter the Turkish parliament]. The 10-percent election threshold is currently the highest in the world. This was brought in as a mechanism to prevent “ethnic” parties from getting into the parliament, and people to be forced to vote for strategic parties in order for their vote to be “counted” in the parliament. Seeing that in June 2015 elections and the November 2015 elections, this election threshold has become obsolete in terms of preventing democratic parties or minority parties or ethnic parties [from entering parliament], I think this constitutional referendum has been prepared in such a way not only for one person to become the ultimate president, but also to prevent any other future possibility of challenges to the essence of the system itself. MN: How has Erdogan consolidated power and authority in Turkey since last summer’s coup attempt, in your view? GO: In order to see what kinds of methods have been applied to consolidate power and authority, we might need to go back a bit further than last summer, because it has a history more than a decade long. But if we focus specifically on what has happened since last summer, the first thing that comes to my mind is one of the first things that happened right after the coup attempt, where a state of emergency was announced. On July 22,  the Turkish government declared a state of emergency, which basically is almost martial law without the military itself. Of course, in the Kurdish cities this has been more violent than in the west. The government had announced that people’s lives would be no different than before and that the “state of emergency” would only mean that there would be a peaceful transition towards [normality], but more than 121,000 people have been dismissed from their jobs, including state officers, police officers, teachers, lawyers, judges, prosecutors, all kinds of professionals have been dismissed from their work, and more than 40,000 people have been arrested in this period. Around 200 media outlets have been shut down, and Turkey, preserving its position as the top jailer of journalists in the world, has imprisoned more than 140 journalists. Hundreds of NGOs have been declared an “apparatus of terrorism” and they have been shut down, including one that I have been working for. Given all these things, I think it has not been so hard to consolidate power and authority since the coup attempt. MN: There have been several changes that have been afoot in Turkey, as you mentioned, even before the referendum. Some examples are the education system reforms and the introduction of a more “conservative” curriculum if you will. What have these changes consisted of? GO: The Turkish education system is a very interesting one because since my childhood I can remember that almost every year there have been major changes in the system. But this time, it sounds definitely more conservative than before, but it has been becoming [more conservative] over the years, it is not something that has happened overnight or over the course of six months or a year. With the new [reforms], the removal of evolution theory seems to be the most striking outcome, and then there is the inclusion of more extensive religious classes and the addition of the July 15 unsuccessful coup attempt in the social history classes. What the new educational curriculum suggests, according to the ministry of national education, is that it is going to present young people with a national ideology, and from the national educational curriculum, the parts regarding the foundation of the [Turkish] Republic, the early Republican years, have been presented as less significant, while the transition to multiparty democracy, which is about the establishment of center-right political movements, is becoming more and more significant in the curriculum. The inclusion of the supposed democratization of the educational system, the most recent trend which is the conservative center-right ideology, is now being presented to the children as the way to go. With the inclusion of the July 15 coup attempt in social history, it has also been interpreted as that the Turkish educational system will, from now on, focus on educational values instead of just facts. I would also like to remind you, in this question, that in previous years, it has been questioned by, I believe it was the president or someone in the government, why do people argue about religion classes, why not about physics or mathematics? They’re just as important. I guess that was the reference regarding the discussions over the conservative educational curriculum. MN: Certain restrictions continue to be in place against Turkish academics, and there have been instances of resistance on the part of some academics in response to these restrictions. Tell us some more about what has been happening. GO: To begin, more than a dozen universities have been shut down in Turkey, and over 1,000 academics have been dismissed as part of the purge after the July 15 unsuccessful coup attempt. In the immediate aftermath of the coup, it had been suggested that the academics or state officers related to the Gülen movement, the group that was deemed as responsible for the coup, meaning the former allies of president Erdogan, would be dismissed and would be charged with terrorism. [However] it has very rapidly turned into a political witch hunt to combine all the political opponents of president Erdogan or the AK party. As part of this, hundreds of academics have been dismissed from their positions, all valuable professors or researchers. But as you have mentioned, there have been many cases of reactions and resistance against these dismissals. For example, at Ankara University, professors tried to enter the campus and the police stopped them from entering, so they took off their academic robes and laid them in front of the policemen, and the police actually stepped over them. That was a significant move, this has shown what kind of an attitude our state currently has when it comes to academia and free thought and research. But I can proudly speak of my home university, Bosporus University, where students have actually started a resistance tent in support of the dismissed academics on the campus. For the first time in many years, some professors from Boğaziçi University have also been dismissed from their duties. In fact, not exactly dismissed, but the university tried to renew their contracts, as they are foreign professors, but the supreme board of higher education has refused to renew their contracts, so they have lost their jobs at the university. But their students, saying that these professors have been all-embracing and all-welcoming, have started a tent where they teach courses willingly and freely to all the students and they invite everyone to come together and listen to the lectures, and they have started a series of events that are quite inspirational. I have personally visited this tent a couple of times and I will visit with them again, so “street academia” attitudes are rising at the moment. It is becoming more and more common to see, in Turkey, that some of the dismissed academics are setting up “street academia” lectures, and they just talk to the people who are interested in their topics, and they inform the society, they’re establishing more connections to the society and the streets. The tent lectures, I believe, are going to cause some very deep social change in the future in Turkey, as long as they can persist in their presence. MN: You write for what could be described as an “alternative” news outlet, dokuz8news. What are the challenges that you face in doing your job as a journalist in Turkey today, and how has press freedom been challenged in the past year and especially since the coup attempt? GO: To begin with, I actually would call it a citizen journalism platform rather than alternative news, because of the negative connotations of “alternative” in the past year, in the “post-truth” age. Of course, focusing on the news is quite a bit of a task these days. What we are trying to do as dokuz8news is we try to focus on a code of ethics and ethics of journalism, and we try to focus on the news itself, naked truth itself, and the news that is being neglected by the conventional media. We try to focus on things that matter to the society, that we think are crucial to the progress of the society, and we try to present this in a way that is as basic as possible so that it gets understood and there is no manipulation. Each reader should be able to form their opinion about this, and as I have stated, we put journalistic ethics at the very core of what we do. We try to be a source of verified, reliable, and accurate information for the needs of the society. In order to check what we are doing, we have actually conducted social media perception research, and we have found out that we are actually doing quite a good job when it comes to news in Turkey. Our followers are from various backgrounds, various political, religious and ethnic backgrounds. They do not come from one specific area, so it is not a partisan kind of media, but it is a news source that, if I may say, all sides can actually trust and perceive as reliable. MN: What are the challenges and the obstacles that opposition parties in Turkey are presently facing? For instance, the co-leader of the HDP, which is the third-largest party in Turkey, has been imprisoned and has begun a hunger strike. What has been going on with the Turkish opposition? GO: The Turkish opposition is as divided as the pieces of a mosaic. Even though they make up one big piece as the opposition, and even though as the opposition, if they united they would be the biggest forum of political influence, they are completely divided and in small pieces. Even at the time of the referendum, when the sides are so clear, that there are only two sides to be voted on, each side is only focusing on its electorate and they are trying to keep their voter base intact. I would like to mention the HDP co-leaders [Selahattin Demirtaş and Figen Yuksekdag]. Both of them are in prison, more than 10 deputies of the HDP are in prison, and dozens of HDP municipalities have been taken over. Trustee mayors have been appointed in their places. Political imprisonment is definitely an obstacle across the Turkish political opposition parties. So what happens when the road to a political solution is blocked by the government? Unfortunately this question has a very dark answer that I am trying not to even think about, because for years in the Turkish parliament, they have been saying that the people fighting in the mountains should come down to the valleys and they should come back to politics, they should be involved in political solutions, and they should be willing to head for a peaceful resolution of the ethnic problems and ethnic tensions in Turkey. But the unfair election atmosphere, the use of state resources by the governing party for the governing party, the system favoring the governing or winning party, and this party [the AK party] going out of line to prevent these other smaller parties from coming up with their solutions and proposals, from naming their demands in the parliament, this does not seem like it is going to continue for a very long time, and definitely not for a peaceful future. On the other hand, there is the main opposition, CHP, the Republican People’s Party, that is unable to adapt to 21st-century politics and to focus on individual and group rights. That is a whole other discussion, but I believe what we lack in Turkey is, in fact, liberal and progressive parties that are able to address the needs of society from all kinds of backgrounds, regardless of ethnic, religious or lifestyle differences. MN: How has Erdogan been playing various Kurdish factions against each other, and how do you believe Erdogan would respond to the potential partitioning of Syria and Iraq and the creation of a Kurdish state? GO: In Turkey, if a political party wants to pass any kind of proposal at this point, I believe they would need the Kurdish vote. Without the Kurdish vote, it seems unlikely. For example, if we focus on the upcoming referendum, the “yes” vote definitely needs the support of the Kurds or at least the absolute silence of the Kurds. In 2010, when the Kurdish party had announced that they would not participate in [that year’s] referendum because it did not present any kind of viable alternative for the future of the Kurdish population, this was actually perceived as a silent approval of the constitutional referendum, and it passed with flying colors. Recently, the northern Iraqi Kurdish leader [Masoud] Barzani had been invited to lure in the Kurdish vote, in fact, and over the years I think this has been a strategy of the Turkish state to divide the Kurdish population, and depending on the leadership of each side, to lure in some of the Kurdish supporters so that the governing party or the governing mentality would actually get some support, and in exchange the Kurdish leaders would be given certain benefits or advantages. So without security in the region, how could the Kurdish population actually show interest in this region? Saying yes would lead to a one-man system, a constitution that allows one party and one person to take over the whole state, and on the other hand, voting for no means going back to the 1982 constitution that actually does not even refer to Kurds or other groups and does not recognize any liberal rights. Without these [rights], the Kurdish population would not really be too inclined to show up on the day of the referendum. Given that the nationalist movement parties’ voter base is divided, the Kurdish vote would be crucial at this point for the governing AK party. MN: Let us look now at the love-hate relationship which seems to exist between Turkey and Europe. Tensions and rhetoric have flared recently between the Turkish government and the governments of Holland and Germany, and increasingly we seem to be hearing Euroskeptic rhetoric from Erdogan and from other members of the Turkish government, at least publicly. At the same time, there was apparently a recent meeting and deal between Erdogan and German Chancellor Angela Merkel. Is there a turn being taken away from Europe on the part of Turkey or are there other political moves that are taking place? GO: The German chancellor Angela Merkel actually arrived in Turkey right before the election in Turkey, and this has been perceived as support from Angela Merkel towards the AK party. The AK party had, at first, presented itself as similar to the Christian democratic center-right parties in Europe, and Angela Merkel’s CDU is the epitome of this ideology. I would like to mention a few things that have happened right after Turkey had this “Tulip crisis” with the Netherlands and the whole of Europe later on. Prime minister [Mark] Rutte has won the elections in the Netherlands, and not in the national elections but in Saarland, the CDU has won the regional seats in the federal government [of Germany], and even in the Bulgarian elections, the center-right party, which I was not actually expecting, has made gains after the tensions with Turkey. These [results] remind me of the 2009 Davos World Economic Forum and the tensions [of Turkey] with Israel. [Erdogan] back then was the prime minister, and Erdogan kept on saying “one minute, one minute” when he was denied his speech during a discussion with Shimon Peres, where the moderator had suggested that he would shut off his microphone. This had caused a majority of the Turkish nationalist voters to rally around their prime minister because he was perceived as a national hero. When I speak to some of my Dutch friends now, they say that their prime minister has stood up against Erdogan’s Euroskeptic remarks and his violent and hostile ministers’ approach to the Netherlands. So, Rutte has been declared as a champion of democracy by some of my Dutch friends, and in a similar fashion, Angela Merkel’s popularity has been increasing. It might be the case that the European center-right is actually playing this in order to sustain their voters’ support. Behind closed doors, we cannot know exactly what is going on, because I don’t think Turkey is moving too much away from Europe or from Germany. No matter what happens, Europe is still Turkey’s biggest trade partner, and no matter what happens, Turkey is still very much in line with the European political system. Even though all kinds of conservative policies are being adopted, this is actually more in line with the European-style right in politics, rather than the Middle Eastern-style conservative political movements. MN: How has the Turkish government used the issue of the refugees and migrants coming from Syria and the Middle East as a weapon or as a bargaining chip of sorts against the European Union? GO: It is very disturbing to see the refugees and the migrants being perceived as a bargaining chip around the table. Unfortunately, both Europe and Turkey, as well as the United States, have been accusing the migrants and the refugees of being something much less than human. This, unfortunately, reminds me of what had happened in World War II, when it came to the Jewish refugees. Pew Research had announced some data, dating back to the 1930s and 1940s when it came to the perception of the Jewish refugees, and the numbers had not actually changed much. Only this time, it is the Syrian refugees. The Turkish government is obviously not approaching this issue as humanely as it should. First of all, Turkey has still not ratified the convention on refugee rights, so the Syrian people are not perceived as refugees in Turkey, but just as “guests” at the moment. In the meantime, European countries are also guilty of shutting their gates against the refugees, so there is a big international crisis in there, but the Turkish government threatened Europe several times that they would unleash the refugees and open the gates and flood Europe with refugees. They have used this to manipulate European support or to get benefits from Europe. There have been talks of visa-free travel [for Turks] in exchange for keeping the refugees and accepting the refugees back in Turkey from Europe, which I believe is definitely not moral or humane. But unfortunately, this was the standard of the negotiations and the discussions between Europe and Turkey. There are no moral or innocent sides in this discussion.